A dedicated server is a single web server or computer system over the internet that hosts websites and displays the pages on request of viewers. It locates within a network of computers that is exclusively dedicated for one customer or business as it can fulfill many requirements. Such servers are more often used in the web hosting industry; where hundreds of sites are hosted under a single server. A dedicated server is considered as the next step from the shared-type hosting environments. Having your own server keeps you stress free from the issues like your server crashed or other servers are slowing you down. These servers also provide the complete control, allowing the installation of the software over your website that consequently takes you on the way of extra performance. The benefit of implementing a dedicated server is that the clients of the servers are allowed to customize the set-up of hardware as well as software so as to meet all the requirements like quicker data access and accommodating more traffic on the site without making any extra efforts. Such servers come along with reliable customer service. The web host works with the client to make sure that the dedicated server can meet all the needs of the clients. 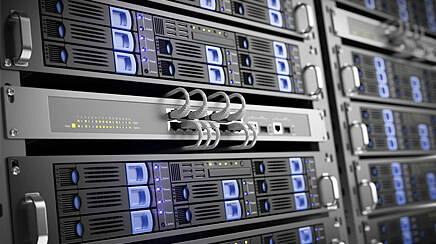 When it comes on the companies having several divisions or a chain of outlets, it is very critical for each to have their own sever as it will be easy for them to create domains on a single server much easily that as a result proves to be more efficient rather than providing host space on several servers for each outlet individually. For large enterprises that have websites for every dealership like motorcycle manufacturers, the benefit of having an individual server is that the main company can put the websites of each dealership into the same server. In simple words, we can say that dedicated servers make it easy to create an online presence streamlined and cost-effective, while keeping things imperatively much easier for the admin and support of the company, also referred as customization and fixed point of sale software. Not only this, you will also get enhanced security with such servers. All the above mentioned advantages indicate that dedicated servers are undoubtedly the best option for most of the large enterprises that focus on profit-making as their main objective.